When I was in University I had a guy in my class that tried to answer every question posed by the prof; regardless of whether or not he knew the answer. This is your Ontario government. Trying to fix problems they have no solution to. 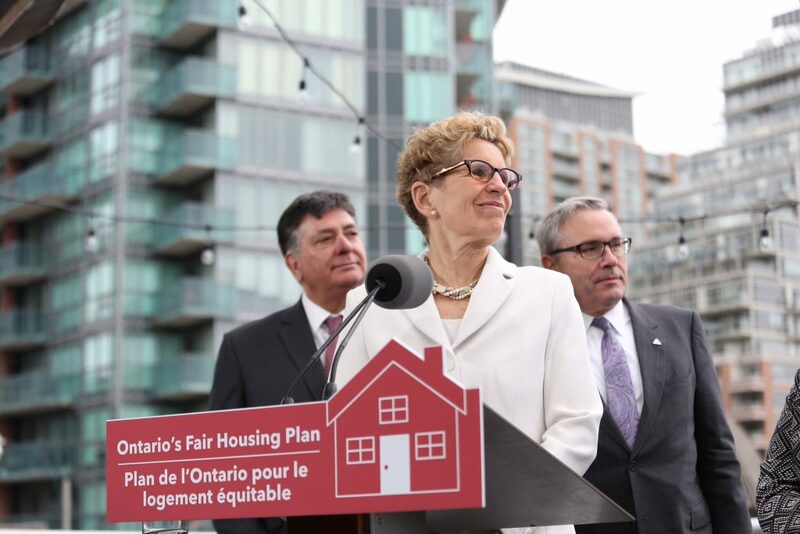 Recently the Ontario Liberal government made changes aimed at protecting Tenants of the province from predatory rent increases by landlords. Landlords who own properties built after 1991 must follow the criteria for rent increases set out by the government. Previously this was not the case in order to protect condo owners who suddenly see maintenance fees climb faster than the allowable rent increases. Landlords now have to compensate tenants one month rent when taking back their units for personal use. So what incentive is their for an investor to purchase a rental unit now? Not much. The potential for big returns are nullified by the new rent controls. Sure, you hope that you can raise the rent when the tenants leave but what tenant is going to want to leave when market rents are going up by 15% per year? The provision that allowed for uncapped rent increases in condos was an invaluable tool for landlords. "You wanna smoke weed in the condo or let your dog scratch the floors? That's cool but I'm going to have to raise your rent to reflect that." Shouldn't that be your right if it's your property? So the Liberals enact changes to make life for landlords even more difficult than it already is (The landlord/tenant laws in Ontario are among the most restrictive in the world). I wouldn't trust Kathleen Wynne to manage the change under my couch cushions. Somehow she is in charge Ontario. The margins are already razor thin and now you say they can't raise rent to reflect demand for their units? They will find better ways to invest their money. Mark my words, in no time there will be a housing crisis in the GTA. It's already happening. 1,000 rental units converted to condos in response to the new legislation.